Lightweight but stronger than steel, carbon fiber reinforced plastics (CFRP) or carbon fiber in short, was once considered a very expensive space age material used in the space shuttle and state-of-the-art airplanes as a substitute for aluminum alloys. Carbon fiber is a polymer made of long and thin graphite, a pure form of carbon (more than 90% carbon) where the atoms are arranged into big sheets of hexagonal aromatic rings that look like chicken wire. This atomic configuration makes it extremely strong and at the same time light. Carbon Fiber belongs to a group of materials with properties similar to diamond. The difference is that diamond has a uniform 3D cubic crystal structure whereas carbon fiber has a uniform 2D mesh structure. The fibers are used to reinforce materials like epoxy resins. The same process used in fabricating fiber glass composites applies to carbon fiber. Recently, improved manufacturing techniques are reducing the cost of carbon fiber. Carbon fiber is now becoming a mainstream material finding its way into applications that require durability, high-strength, low weight and insensitivity to humidity and temperature changes. Its exceptional strength-to-weight ratio is the main reason why it is a material of choice in the aerospace industry and much later, for F1 race cars and high end sports cars. 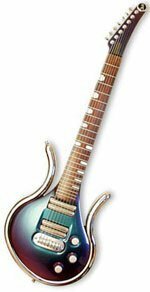 Now, it is increasingly common in consumer goods such as tennis racquets, golf clubs, archery equipment, tripods, fishing rods, laptops, bicycle frames and parts, aftermarket automotive body-panels and parts, and… you guessed it, musical instruments. Stockbridge Summer Music’s 18th season, July 7, 2003, was an unusual event. Cellist Luis Leguia gave the opening recital featuring standard works from Bach, Vivaldi, Faure, and Kodaly, with a cello made not from wood, but carbon fiber. The cello is his creation. 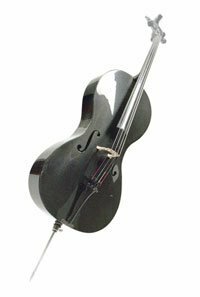 In 1989, he began experimenting on a prototype carbon fiber cello in his basement. The result is an instrument with exceptional sonic quality, projection and volume; good enough for the discerning professional musician. A decade later, Luis Leguia started his company named Luis and Clark and began building carbon fiber violins, violas, cellos and double basses. 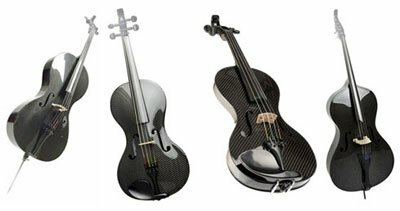 Now, a carbon fiber cello costs $7,139. Carbon fiber is stronger than even the hardest wood. There is no comparison. It has a tensile strength of 565 kN/cm² which is more than 10 times than that of steel with a tensile strength of 37 kN/cm. Yet, it is 4 times lighter. 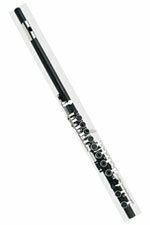 But then again, a strong material does not necessarily make a good instrument. Early carbon fiber composite based instruments sounded dull and lacking in character, noted Charles Besnainou, an instrument builder at the Paris Conservatoire and France’s National Center for Scientific Research. Since 1986, Charles has been studying and building composite instruments. Over time, he has learned the fine art of tweaking the balance between the material’s rigidity and flexibility (its viscoelasticity) to make the response more like “tonewood”. Does that sound familiar? Is this again another case of “tuning” the material? 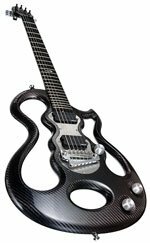 From the descriptions above, it is immediately apparent that carbon fiber is a suitable candidate for building guitars which require high strength to counteract the tendency of the strings to pull the head towards the body with a total tension in excess of 45 kilos (99 lbs) while being extremely low weight and thus less fatiguing to carry around. A process, called a wet layup, involves laminating multiple sheets of carbon fiber fabric soaked with two part epoxy resin and laid up over a fiber glass mold. Before layup, the mold is first prepped by polishing it with carnuba wax and applying a thin layer of release agent, typically PVA, to ease separation when the resin cures. After layup, the laminate and mold are placed inside a plastic vacuum bag. Air is drawn out using a vacuum pump to eliminate bubbles from forming and to remove excess resin. The piece is then set aside to allow it to cure. This is the same process used in fabricating fiber glass composites.